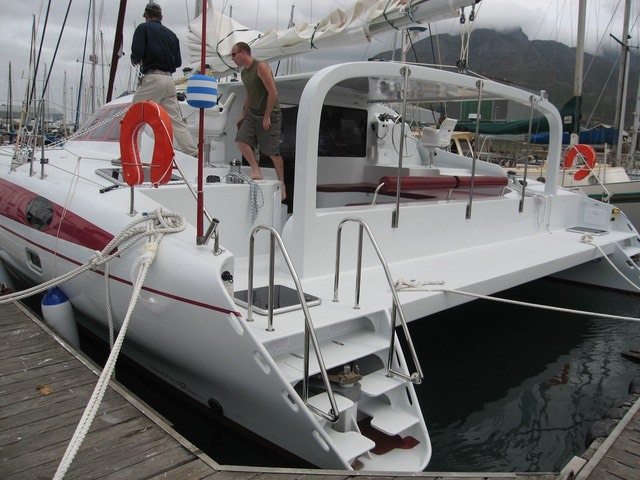 The design brief for this project was simple,– Produce a high performance,spacious, liveaboard catamaran, that could safely sail around the world. 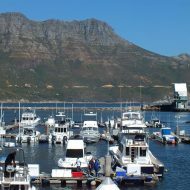 The owner, no newcomer to the yachting world, had previously crossed an ocean with a friend and fellow sailor, who was to become one of the worlds most highly respected designers, of high performance ocean sail boats, John Shuttleworth. With the selection of the designer as a given, it was down to the requirements list and final drawings for a special one-off. 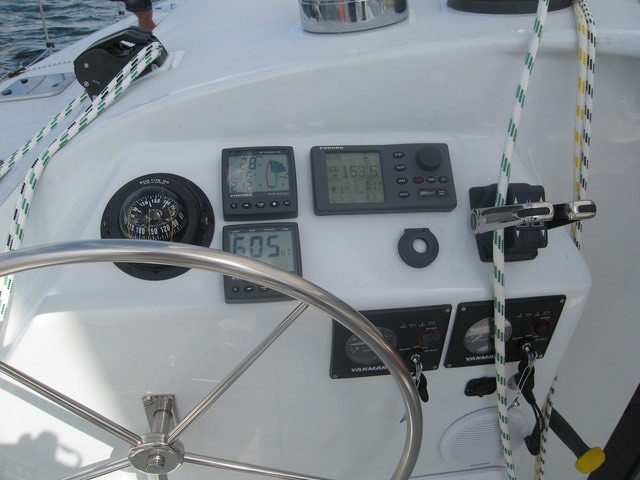 Speed and light weight were always a critical element of everything that pertained to this boat . 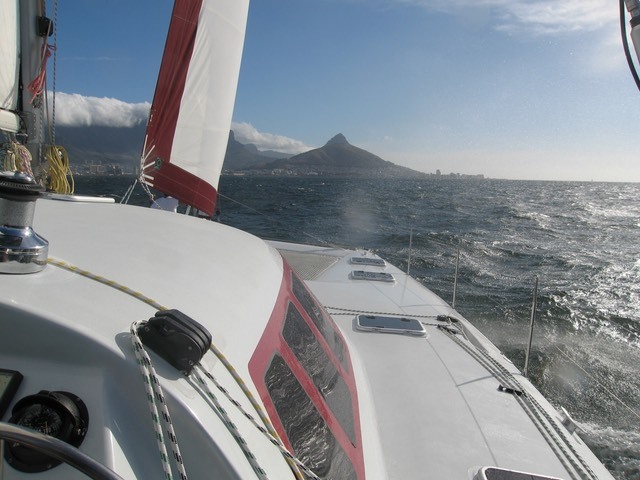 There were no disappointments when the first sea trial,held in 30 knots of Cape Towns South East Doctor wind, produced 22 knots speed over ground, with very little effort. 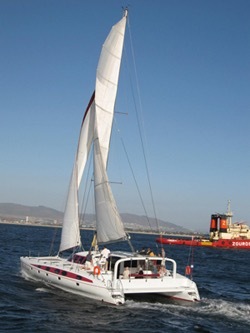 The boat, “Lifes A Dream”, has had some interesting passages on her way around the world via the Panama canal, to Hawai, and recently via the South Pacific to Australia where she is currently receiving some tender loving care prior to a passage back to Durban via Mauritius. Carbon, Aft, Mid-ships & Forward beams.